Managed Secure WordPress hosting, Secure and Reliable. Managed WordPress hosting for your blog or website. We provide secure and reliable wordpress hosting. With BigBirdWeb you can make sure about fully managed support no matter its 2AM or 2 PM. We are known for support system and uptime guaranty. Why go for custom shared hosting when we are giving best optimized wordpress hosting with free jetpack professional plugin and yosta SEO pack. Enjoy India’s #1 wordpress optimized Hosting with our feature-packed hosting plans. Every wordpress hosting comes with free ssl, SSD cache disk space. No need to search google for every wordpress problem, a professional dedicated person will help you all the time. . We are strongly recommended for our support, check out our reviews. We handle your wordpress, care for them and make sure they are well managed just like you. So that you can focus only on content. Offer auto applied in your payment page. This offer only applicable for yearly, biennially and triennially plan. Contact us if any question. Why Choose WordPress Web Hosting? WordPress hosting is best platform to showcase any blog or dynamic web site. It is very easy to configure many SEO plugins and themes for wordpress. WordPress comes with more than 10000+ themes and customize accordingly your needs. WordPress hosting is most popular CMS platform. Our WordPress Hosting plans are optimised to run WordPress at its best – delivering fast load speeds, tough security and unrivalled uptime.Each plan comes complete with everything you need to get online including a free custom domain registration, email hosting and plenty of webspace and storage. We love wordpress too like you. Our teams are fully certified exparts in WordPress. 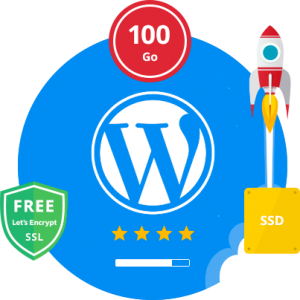 Get WP Hosting and get free wp beginner guide, tshirt, Free URL submission, content optimization and much more.Free SSL for your website keeps your wordpress free from malware and any hacked object. Countless websites and blogs exist online, yet the quality of their content varies widely. The ones that stand out must be better in terms of readability and SEO. 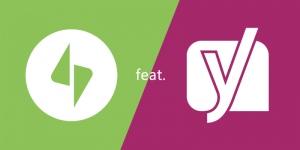 That’s where Yoast comes in, and acts as a copywriter’s best friend. After a writer inputs text, Yoast evaluates it for readability, giving it a red light for “needs improvement”, an orange light for “okay”, or a green light for “good”. Search engine optimization is generally easy with WordPress, once you understand the basic principles. You don’t have to configure any special settings to get your website crawled by Google. And from a technical standpoint, WordPress is a very search engine friendly solution. The Genesis themes, which we use at BigBirdWeb, give you some advanced SEO functionality beyond what most WordPress themes offer. WordPress is generally SEO-friendly “out of the box.” You may want to temporarily turn off search engine visibility if you are working on a draft site or building a brand new site. If search engine visibility is turned off, you will see a link at the top of your administration panel that says “Search Engines Blocked.” Once your site is ready to be published, make sure you turn search engine visibility back on. Included in All Packages for your website, Setup your wordpress web hosting with BigBirdWeb. Our Specialist will take care of your wordpress website including updates and any major security at any time. You do not need to spend extra money or time on it. Focus on your content, we'll do the rest as promise. We are known for support. We provide data backup every time you request. We also know how it feels when codes get down, and we have to build it from start. Hopefully for all of this we have done with premium backup service for swl as well as data. Request it, get it. We can restore previous wordpress website from any zone, website is up or not dosen't factor. You can request for webssite transferat the start, we'll transfer whole website within 4 hours without any downtime at zero charge. Our hosting platform is built on the latest SSD hardware. Then we add our own caching tool, the SuperCacher, which uses NGINX technology to drastically increase WordPress speed. Last, our servers support PHP7 and HTTP/2, and come with a free CDN to make your website fly! Our update service will automatically ensure that you have the latest wordpress version installed and patched in your install, We also have an application firewall to protect you against mailcious requests and we provide tons of free plugins after registration. 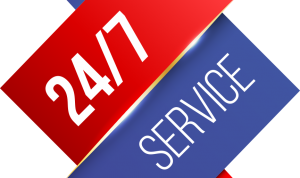 We offer 99.9% Uptime Guarantee with 24×7 support through online and as well as offline.There is no matter is it 2AM or 2PM,Our friendly Support system is always ready for you. We are confident you will be happy, and even offer you a full 21 days money back guarantee(For web hosting) to try us out If you are not completely satisfied with our web hosting services. We are giving free SSL cert on any plan, and free domain name on yearly or more plan. When it comes to bigbirdweb we do support offers. Free .com or .in domain with every plan. WordPress is a popular open source content management software (CMS), written in PHP. Our WordPress Hosting is specifically designed to boost your website performance with enhanced security, scalable technology, and automated updates. Yes. There are multiple package available. Up gradation is instant. Is Email hosting included in my plan? Yes, Email hosting is a part of your wordpress Hosting package, and you can create multiple email accounts as specified in your package. The upper limit for email storage is 10 GB per package. If you require more email resources, please check out our Business Email and G Suite plans. We’ll install wordpress and max 5 plugin completely. Do I get a Money Back Guarantee? Yes, We have 21 days money back guaranty. Can I use extarnal email services? Yes, you can use an external email service. However, if you are using the default nameservers, kindly get in touch with the Support team to update the DNS records. Can I use an existing SSL? No, an existing SSL certificate cannot be used with your WordPress plan. To issue the certificate, you need to generate the CSR from your WordPress panel, which can then be installed from the panel. How to transfer old website? You can migrate your Web Hosting package from another Web Hosting provider to HostFurious by following the steps mentioned here. For further details, please contact our Support team. No, WordPress Hosting does not support Multisite.